When a rumour begins to make its way around the school yard, single mother Joanna Critchley can think of little else. As she obsesses over the possibility that a killer lurks nearby, she unravels a tangled web of suspicion and begins to realise her sleepy seaside town is far less innocent than she thought. 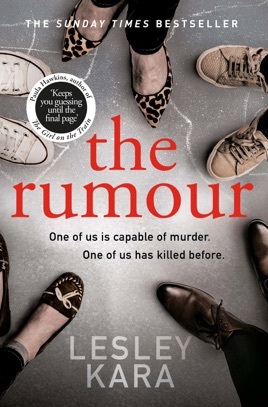 Dripping with intrigue, this thriller will have Big Little Lies fans revelling in its themes of gossip, secrecy and female friendship. Debut novelist Lesley Kara leads us down several deliciously blind alleys before hurtling in an unexpected—and satisfying—direction. 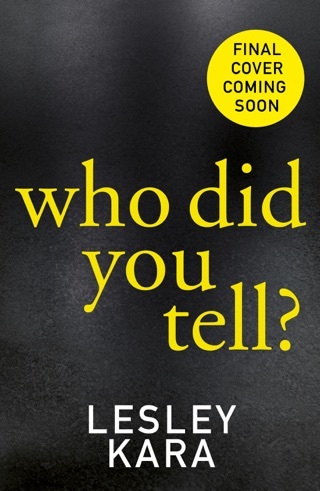 Brilliant kept me gripped all the way through! Brilliant story line I was gripped till the very end by, I don’t normally read at all but choose this as it said it was new ... I couldn’t put it down which is absolutely bizarre for me!! Great read can’t wait for the next one to come out! Bit slow at the start, but definitely worth a read as that ending...wow!